The content, graphics, logo, and all the materials and data used to generate this website are protected by copyright law. In any form, you are not entitled to use, transmit, distribute or reproduce any kind of material of the website, in whole or part, for any public or commercial purpose until and unless provided by us. The information, product content and images available on this website is all for informational purpose only. The use of the content and information is totally at your own risk. By using this website or purchasing any product from this site, you agree that you are not doing it intentional for any legal action on us. All taxes, custom duties, or government taxes levy on the products you purchase or on your purchase are your responsibility. It is your responsibility to provide accurate information when using BestVetCare.co.uk. You guarantee that the information provided is truthful, accurate and not misleading. In case of inaccurate information, we may suspend your account or block your access of the website. It is your sole responsibility to provide the accurate shipping address at the time of ordering. In case of inaccurate shipping address, we do not take any responsibility for the loss of order, refund or return and do not come under any obligation to re-ship the order to the correct address at our expense. Once the order is shipped, delivery address cannot be changed. We reserve the right to change or update the prices and products on the website without any prior notice. All deliveries are estimated dates only. The company does not guarantee on this. We make sure to provide continuous access to Bestvetcare.co.uk at all times. 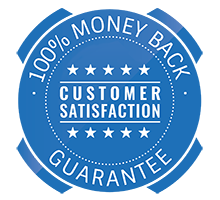 However, we do not guarantee or warranty for your use of the website will be uninterrupted for unknown or known reasons such as nature of internet. It is possible that at times access to the site may be limited or stopped due to website maintenance or technical reasons. The information and the articles are for informational purposes only and do not intent to provide particular advice for your pet treatment or care. You should not follow any information without proper advice for your pet from your veterinarian. The using of the information is your responsibility at your own risk. Please consult a veterinarian for advice or treatment of your pet. BestVetCare may make changes to any services or discontinue products offered on the site, or the applicable prices for any products at any time, without any prior notice. By using the website, you agree to the applicable changes.